We have had a busy few weeks at Team Activ but its great to see all the kids getting involved and taking part in such a wide variety of sports. Want to find out what people have been up to here are just a few things from the last weeks. We had a fantastic afternoon at Netherwood ALC as 14 teams came to participate in our latest Key Stage 1 Hoopball Competition. It was great to see some of the younger pupils getting the chance to be involved in some physical activity and having a fun and enjoyable afternoon. All the hoopball events we have done this year have proved a real hit and we are looking forward to continuing next academic year. Well done to all the teams who took part and also a big thanks to the spectators who came down to the event to cheer the teams on throughout the afternoon. 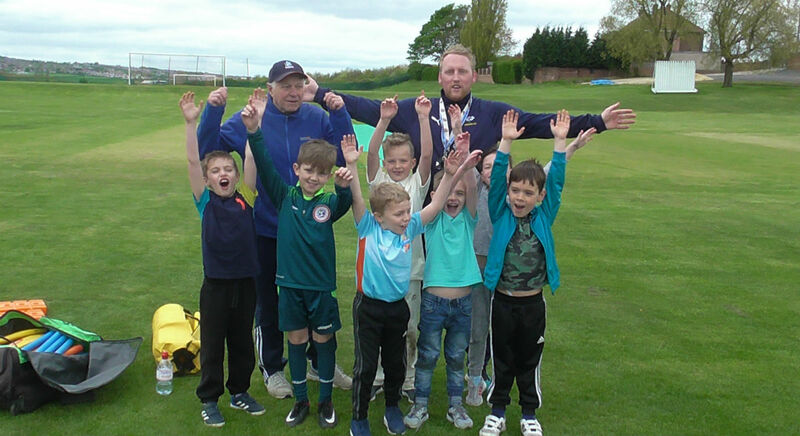 It was a brilliant day last Friday not only was the Tour De Yorkshire passing through, but we had a festival ran in partnership with Yorkshire CC that aimed cricket skills for Key Stage 1 children from all over Barnsley. We have over 200 children taking part for the morning with 2 lots of activities that focused on batting, bowling and catching. We had children jumping on mats and running to catch balls from stingers. It was great lots of goodies were given out with all children getting wrist bands. The sun was out and the atmosphere was electric. Great day and a massive thank you to Wombwell CC, Yorkshire CC for letting us be part of it. The biggest thank you needs to go to all the schools who came out on a busy day and got stuck in. Well done everyone. We have had 2 amazing competitions this week for the Year 3/4 Cricket competitions. These competitions are so big we move them onto 2 days so that all teams can get the chance of playing. 1 team from each competition goes through to the school games finals at Abbeydale in July. We have had the fabulous High View smash their way into the finals by beating Hoyland Springwood within the final match. Friday 11th May we have another 11 teams battling out for their spot in the grand final. What a fantastic afternoon last week when we had around 500 children descend on Locke Park for a fantastic day of Orienteering. It was the turn of the Year 3/4 pupils this week and they were not so blessed with clear blue skies and wonderful sunshine but it did not stop them. Well done to all the teams and schools who took part and completed the challenging course around the beautiful parkland. A massive thanks to the Young Leaders from Kirk Balk who helped marshall the course for us and keep all the participants safe and informed whilst they were participating. Thank you to all who took part and to the continued effort and support from all schools. Final Results can be downloaded from below and the best participants in each category will receive certificates and badges to celebrate their achievements.